Dear Me. — Meegs at A New Day writes to her decade-younger self offering a good reminder of how far she's come, and she addresses some fears she wishes future her could assuage. A Letter to Myself — Holly at Leaves of Lavender offers a missive to herself in the past... three years in the past, to be precise, when her little one was only four months old. 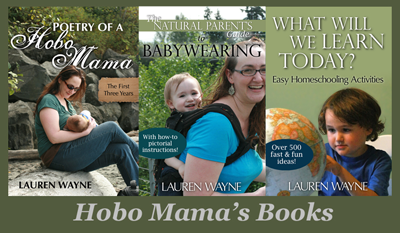 Dear me: Nothing will go the way you've planned — Lauren at Hobo Mama gets real with her just-starting-parenting self and tells it to her straight. Dear Me of 7 Years Ago — Lactating Girl at The Adventures of Lactating Girl writes to her pre-baby self telling her about the whirlwind she's about to enter called parenting. Dear highly sensitive soul — Marija Smits tells a younger version of herself that motherhood will bring unexpected benefits - one of them being the realization that she is a highly sensitive person. My best advice to the new mama I was 8 years ago — Tat at Mum in Search shares the one thing she wishes she'd figured out earlier in a letter to her 8-years-ago self (that's when her first baby was 6 moths old). Thanks for sharing your pre babyhood thoughts, I found it an interesting read, especially in regard to Ec, tandem nursing and the less time we have with each subsequent child, all of which I can totally relate to. I found it a really useful exercise to write to my pre pregnant self too, as a form of reflection and to take stock of all I have achieved in the past five years, just like you have (in 8). Thanks again for sharing. Stoneageparent. This is great. I always said, I was the perfect parent... until I had a baby! :-) Its not everything we though, but its even better in so many ways. "There are no pat endings, there are no perfect mothers, and there are no rules to follow when it comes to parenting. There is just the day-in-day-out of relationship, connection, and growth, and you'll do that, as I am still." YES! to that Lauren. What a beautiful phrase: "There is just the day-in-dayout of relationship, connection, and growth..."
And I totally hear you about the challenge of going from mothering one to mothering more... some things simply have to be let go of. So very true! We all have such lofty ambitions before our kids are born, don't we? So far, I've succeeded for the most part with most of mine... but I currently only have one. If a second baby is indeed in our future, I'm sure some things will go by the wayside, too. Thanks for sharing this letter! I'm sure I'm not the only reader who sees herself in it. Hahahahahahaha!! I love it! I was just having a conversation with a friend (we both have two kids) about our kids - my first child was challenging by any definition and very humbling, my second one is a bit more ... er, okay, let's be honest, neurotypical ... and it has really relaxed me as a parent to really see IT WASN'T ME. It wasn't something I did. My kids are just different people. Different than each other, different than me. Having been so challenged, so deeply humbled, I am enjoying being a mother much more now. It's really quite freeing. Of course we parents do have a huge impact on our children and how comfortable and loved they feel, but we don't have much to do with WHO they are, or their basic personalities. I still believe in breastfeeding and attachment parenting but I no longer expect those things to result in some socratic ideal of the well-adjusted and attached and super-well-behaved and empathetic child. And thank goodness, right? What was I EVEN THINKING? Haha. I love this! We can never live up to all of our ideals because we are humans parenting other little humans. Thank you for such an honest post. I can relate to so much of this, as I think many of us can. And that one sentence up there about as the number of kids go up, the less time we can spend with them - as much as I want more kids, I'm already feeling overwhelmed with two. I'm not sure I can survive more :( Maybe it's the introvert in me? “There is just the day-in-day-out of relationship . . .” which this evening for me meant the seemingly endless meltdown of the unnapped 3yo. But it did end — with cuddling on his bed and (for him) sweet sleep. And what will tomorrow bring? Who knows . . .
My harsh reality wasn't being able to breastfed as I wanted to - I felt such incredible guilt about it even though I have an incredible son who is no worse for wear but man, that was a quick jump to reallity. Isn't it true that what we imagine parenting will be like is never what it actually is. And it's much more fun that way. And more frustrating,too, but that's the way we grow. I'm so grateful to hear the gritty reality! Thank you for sharing. It was sad for me to acknowledge that I was not up for a third in body, mind or spirit, esp when I see other people do it. But I just know my reserves are limited so it helps to hear you didn't just magically clone yourself a second time when #3 showed up! It's so funny about the reading. I never planned to homeschool but did like that my son was in Waldorf for three years and went to public school not even knowing all his letters. Then I put his sister in public Montessori at his same school when she was three, and at 4.5 she was already reading about as well as he was at 6. It's kind of fun on one hand (I was an English teacher, after all! ), but I honestly wish she could have stayed in that bubble of imaginative play more and wasn't already so worldly at such a young age. But I also know I could not have stayed home with her for a lot longer or managed the two-school shuffle without serious consequences to my health. Aint that the truth! Well said mama!